February 25th 2017: Just what went down in that hotel lobby in Birmingham, Alabama? What we do know is this: Deontay Wilder had won his fight against Gerald Washington, successfully retaining his WBC heavyweight title for the fifth time, and Dominic Breazeale had beaten Izuagbe Ugonoh in a thriller on the same card. Then all hell broke loose in the hotel lobby and Wilder and Breazeale have genuinely disliked one another since. And there is bad blood in the air, very bad blood. So much so that Wilder has said he would have “no remorse” if he actually killed Breazeale in the ring that night. 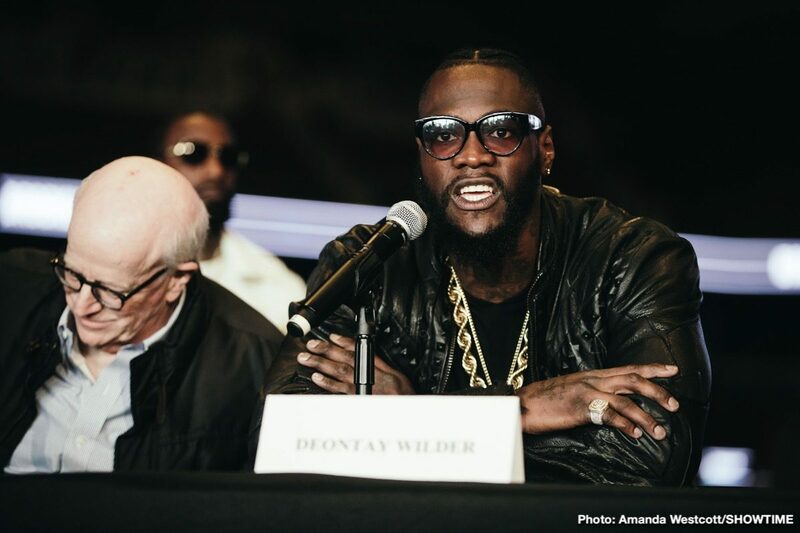 Wilder, no stranger to controversy, once stated on a radio show how he wanted “a body” on his record, that he seriously wanted to kill a foe in the ring (or to be more accurate, Wilder said his alter ego, “The Bronze Bomber,” a terrifying entity that even scares the champ himself and only shows up when it’s fight time, wants the body.) Breazeale? He simply wants to KO Wilder and silence him. It should be quite a fight next month, and a long fight seems unlikely. Someone is getting knocked out. And Wilder, 40-0-1(39) says he is training as though Breazeale, 20-1(18) were “a champion.” Speaking with The Daily Mail, Wilder was again asked about the possibility of a fatality when he fights Breazeale and how such an event would affect him. If you listen to Breazeale, he will tell you the exact same thing (minus the part about wanting to kill his opponent), and this very genuine grudge should mean we get a very eventful fight on May 18. Despite the controversy, let’s all hope for a good clean fight, where neither man gets badly hurt. Oh, and let the best man win.